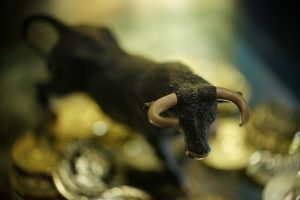 The bulls are back, it seems: What slowing global growth? What reduced earnings expectations? Trade wars? Who cares. All that matters was the Fed caving in, laying the foundation for the big bull case. The lows are in, what else is there to buy? This pretty much sums up current sentiment. This is the familiar script during emerging bear markets, a sense of relief that the lows are in and a return of optimism and greed after an aggressive counter rally following an initial scary drop. Long forgotten are the December lows after six consecutive weeks of higher prices. While a renewed, dovish Fed may be all that’s needed to keep 2019 bullish, there is evidence that this rally may turn out to be a big fat bull trap. And it’s not a single data point, but a confluent set of factors acting in concert that give credence to this possibility. Henrich sets out nine common elements of the previous two big market tops (2000 and 2007) and submits that the current rally is consistent with all of them.